Officers at the Crestview Police Department know many local families are struggling financially. Financial hardships can especially become evident during the holidays. The agency’s Cops For Kids program provides new, age-appropriate unwrapped toys for children between the ages of 2 through 16. A program of the department’s Community Services division, Cops For Kids has helped families in need for almost 20 years. Local children’s legal guardians are invited and encouraged to apply for participation in the program. 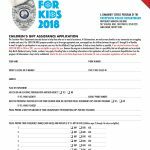 To help as many families as possible, if a family received assistance through Cops For Kids in 2016 or 2017, they are not eligible to apply this year. Only North Okaloosa County residents may apply. To be sure the police “elves in blue” have plenty of time to shop for this year’s participating children, their parents or guardians must submit the application form in person to the Crestview Police Department, Whitehurst Municipal Building, 201 Stillwell Blvd., by Dec. 10. Late or incomplete applications will not be accepted. Distribution of toys will be Dec. 20 at Warriors Hall in the Whitehurst Municipal Building. Applications may be downloaded from this page, or obtained in person at the Police Department lobby window 24 hours a day at 201 Stillwell Blvd. in the Whitehurst Municipal Building. Applications are also available at City Hall. Officers Hulion and Kimmons welcome donations of cash or new, unused, unwrapped toys. Donations may be brought to the Police Department, or dropped off at area Dollar General stores in Crestview (except the location by Tractor Supply), Baker and Holt; the Crestview Walgreen’s; Allen Turner Chevrolet or City Hall. Cash donations must be given directly to police officers. For a donation box for your business, contact Crestview Police Community Services officers at the numbers below.